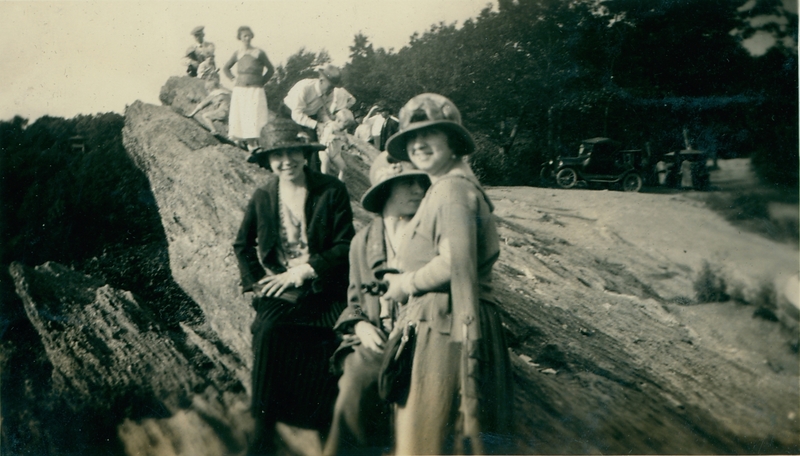 Can we learn about history just by viewing one family’s photo albums? Before I stumbled upon the Clifford Family Scrapbooks in the Archives of the City of Kingsport, I would have said, “No.” I have learned so much from studying and scanning this album that, now, I’m a believer!John H. (Doc) Clifford was a Marine Chaplain in WWI and working for the YMCA in New York City post-war when John B. Dennis approached him about starting a Y in newly formed Kingsport. He and his wife Marian Janette Steele had traveled the world, raised two sons, and were now coming to Tennessee. Eventually, their older son Howard Edgar Price (H.E.P.) Clifford would come to Kingsport, as well. 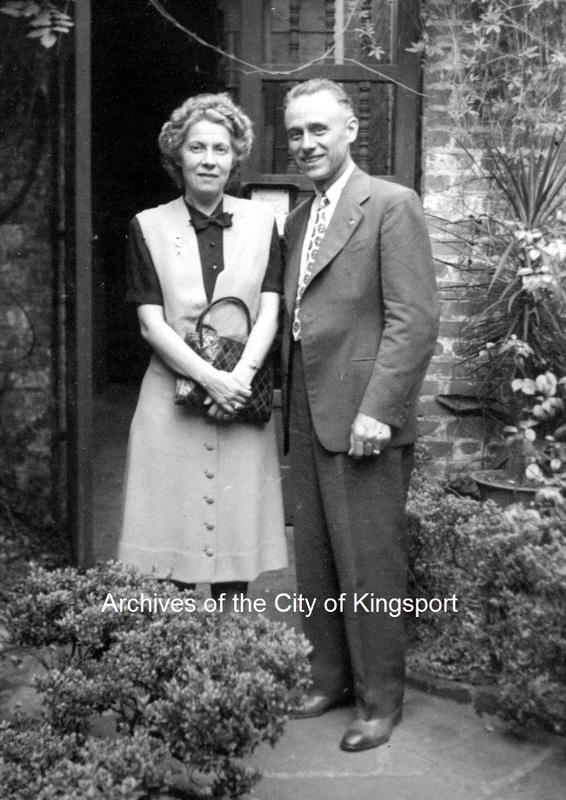 Howard worked for J. Fred Johnson as a bookkeeper and worked his way through the ranks of the Kingsport Improvement Co. and the Securities Co., first as an accountant, then treasurer, and finally as vice-president, until all of the land holdings had been sold. Howard married Mildred Elizabeth Mahan on 22 June 1921. 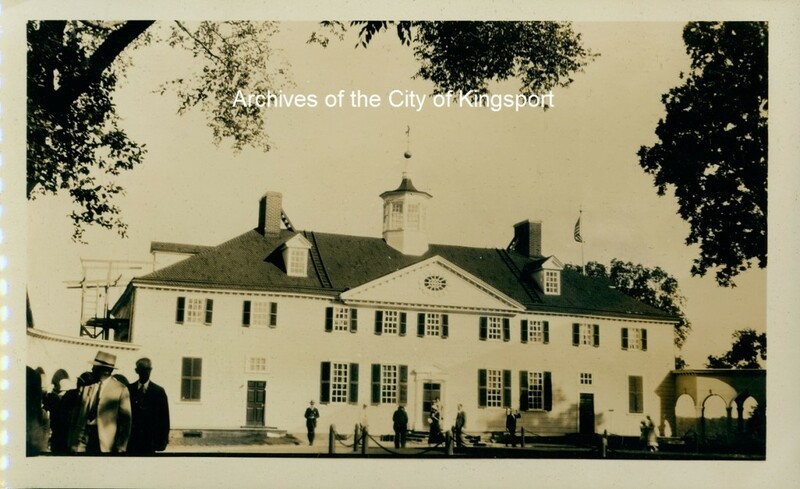 Theirs was the first formal wedding to be held at First Baptist Church, with a reception held afterwards at the Kingsport Inn. (Rev. “Doc” Clifford was one of First Baptist’s earliest ministers.) Mildred was the daughter of Frances E. Mahan, who had been recruited by John B. Dennis out of Rome, Georgia, to start the Kingsport Brick Co. in 1910. Kingsport was not incorporated until 1917, so both families’ photographs of early Kingsport are valuable historical resources. 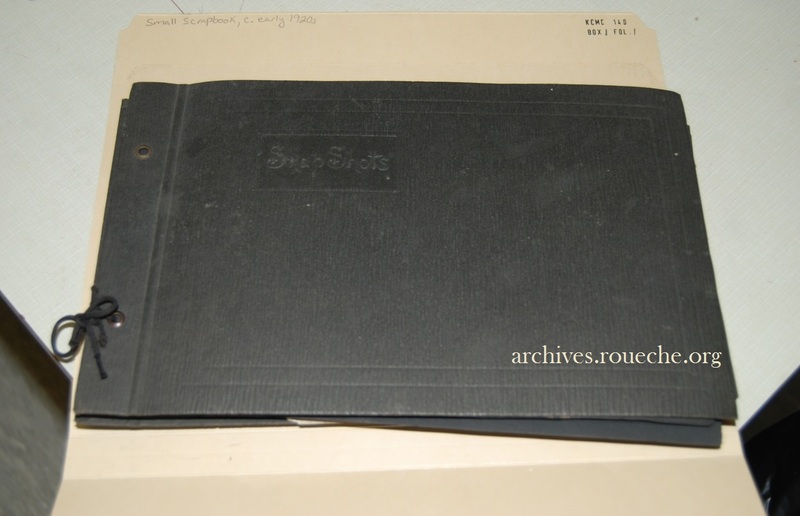 The scrapbooks came to the archives in 1994. 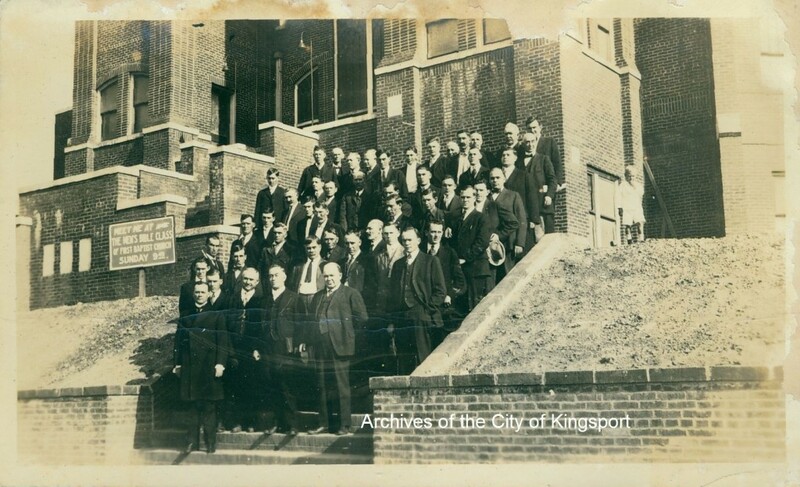 I discovered them when I was preparing for the 2015 archives church history exhibit “Safely Gathered In.” I used an early image of church circle from the collection as well as this photo of a Men’s Bible class. Rev. Doc Clifford is second from the right in the first row (standing next to Winston Churchill). The smaller album is just over 20 pages long. 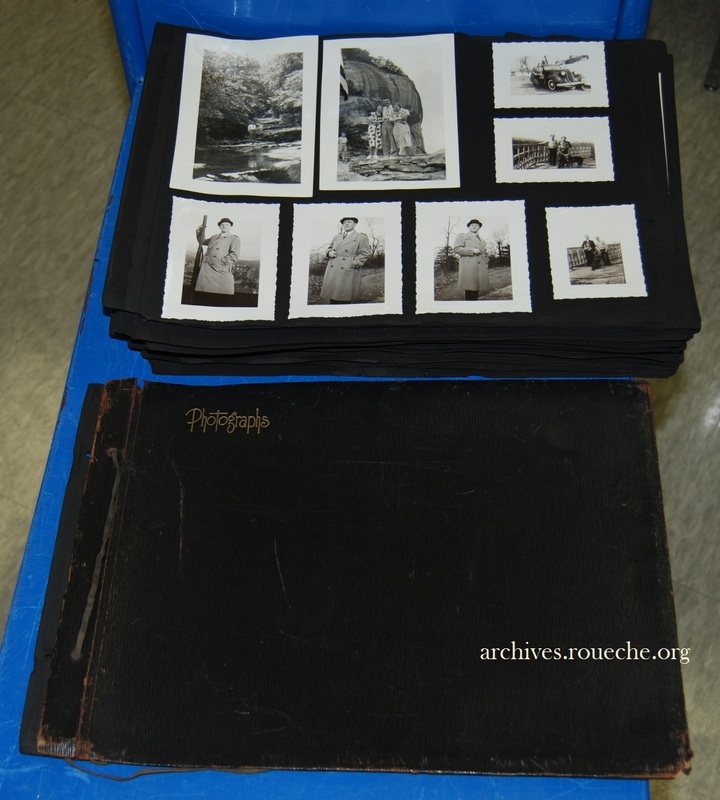 The smaller of the two Clifford photo albums. 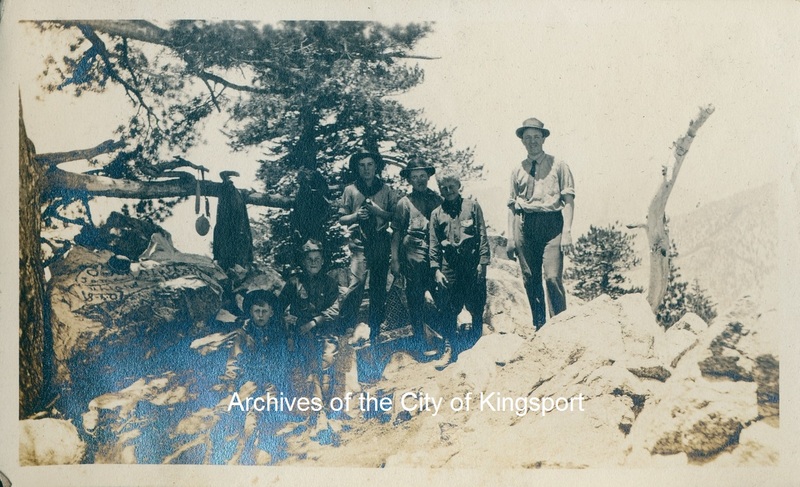 Its highlights include a trip to Niagara Falls, young family members at play, and a series of intriguing portraits taken on the steps of the new Jackson Elementary School in Kingsport. The Jackson series seems to be of dance classes in elaborate costumes. 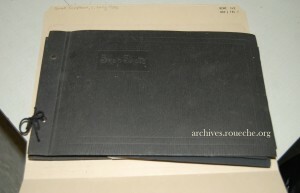 The larger album is approximately 100 pages long. 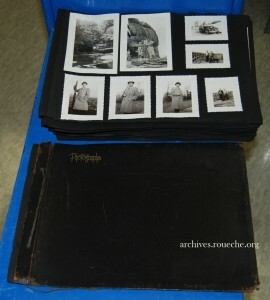 The larger Clifford scrapbook opened to a page from a family trip. Less than half of the photographs in the larger album are labeled, which is disappointing, but common. 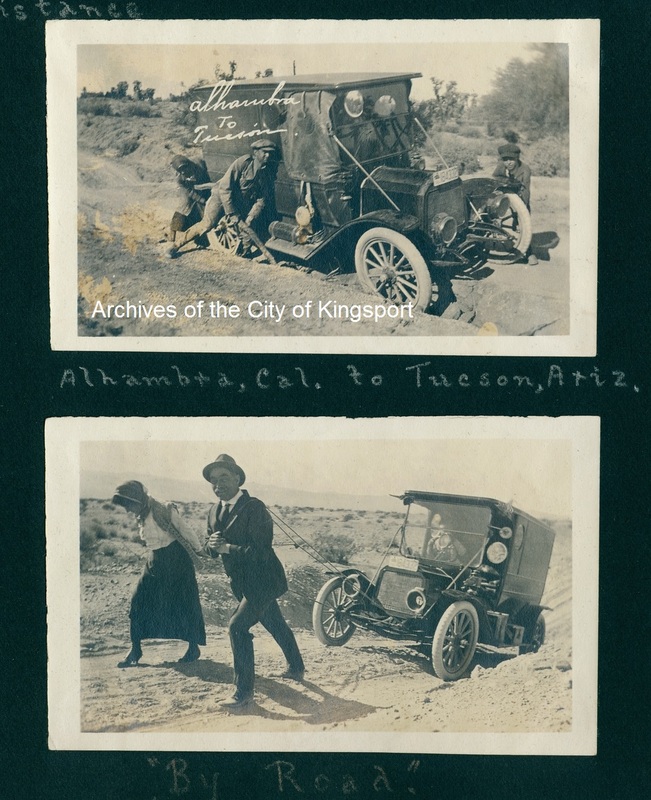 Its pages highlight vacations, Howard’s time as a student at the University of Southern California, the 1915 Panama-California Exposition in San Diego, World War I military training, and a series of camping photographs during a time when scouts and their leaders backpacked with ties and neckerchiefs on. The Cliffords owned their own cameras during an era when most people couldn’t even afford to have their picture taken. One of the unique things about the albums is that the Cliffords took candid photographs as well as posed, which is a good lesson for anyone trying to document family life. The other lesson learned from their albums is that more than one family member took pictures, which means more of the family is depicted in the photos and the images offer differing perspectives and personalities. They took their cameras with them everywhere their car would take them . . .
. . . and a few places it wouldn’t. From the west coast to the east, they documented early 20th century America. 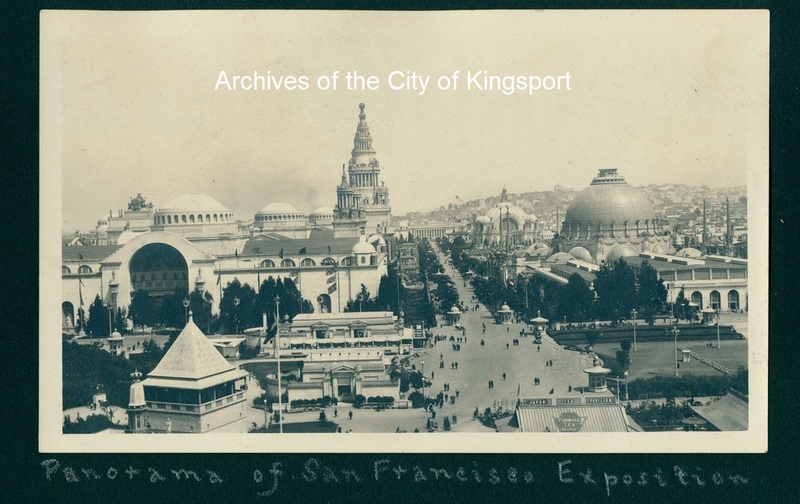 Panama-Pacific International Exposition, San Francisco, 1915. A trip to Mt. Baldy in the San Bernardino Mountains of California, 1916. It was amazing to see these historic places during an earlier, less cluttered, less crowded time. The family’s photographs of Washington, D. C. are especially noteworthy for the expansive views that cannot be seen there, today. So what did I learn from the photo albums? I learned about the YMCA’s role during World War I and I learned about a tragic event that occurred in Houston, Texas when America was preparing to send soldiers overseas. I learned that Dr. John H. Clifford was only an ‘honorary’ Marine because during WWI the military had yet to organize an infrastructure of chaplains. Officially, Rev. Clifford worked for the YMCA, but he was attached to the Marine Corp. Shortly after the United States declared war on Germany 16 April 1917, the U.S. began constructing or expanding military training camps. One of these was Camp Travis outside of San Antonio. H.E.P. Clifford was assigned there as a sergeant in the Ordinance Detachment under Maj. Edward B. Johns. John H. Clifford served as the religious secretary for the YMCA attached to Camp Travis. Younger brother Gordon on the left, Howard in center out of uniform, Mrs. & Rev. Clifford at right. 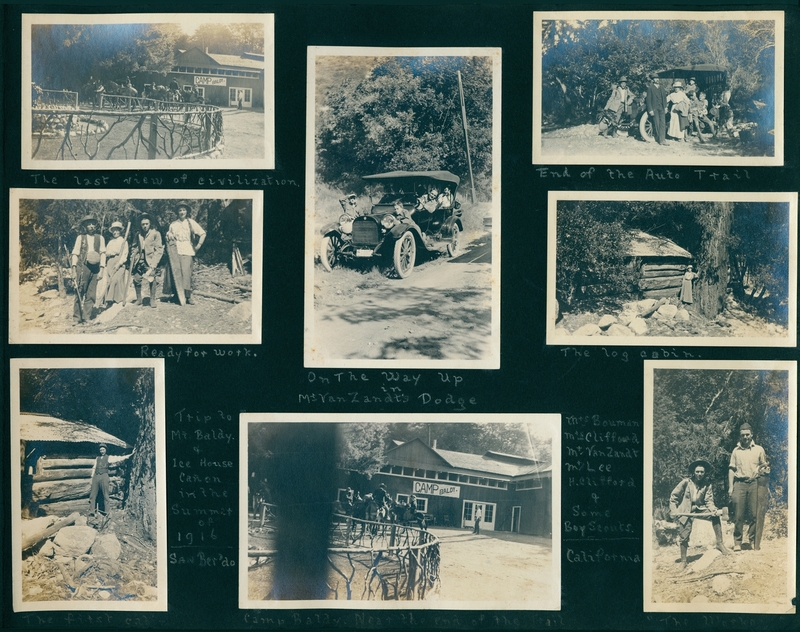 While there, Doc Clifford and Howard documented everything from training exercises to housing and dining quarters. 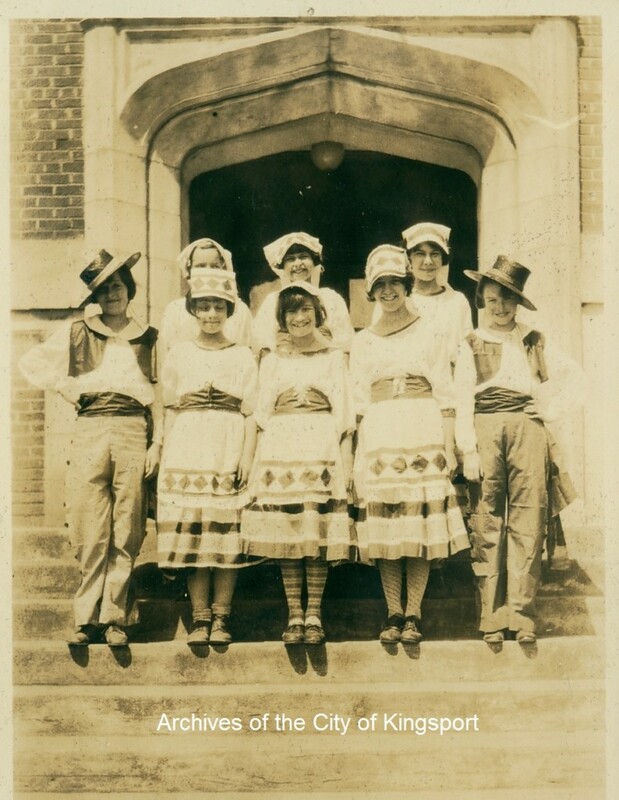 On the homefront, the YMCA was responsible for recreation, religious support, entertainment, and more in both training camps and troop transports. Overseas, the Y provided education, nourishment, assistance with correspondence, and distraction from the pressures of battle. They established a series of “Y” Huts and libraries for the soldiers and numerous other services. Trenches, dugouts, and ‘no-man’s lands’ were re-created at Travis. Doc Clifford shipped out in December, but before he did a regiment of black soldiers, the 24th Infantry, were transported by train from New Mexico to serve guard duty over the construction of the City of Houston’s new Camp Logan. Some in command thought it unwise to send black soldiers on southern assignments because of racial tension, but either conflicting opinions or confusion led to an exception. The 24th arrived on 28 July 1917. By 23 August, after numerous arrests, beatings, and general harassment of soldiers by local police, including that of a black military policeman who had been shot at and was rumored to be dead, soldiers from the 24th seized guns from the camp and more than 100 of them marched into town firing. Initially 15 whites were killed, civilians and police, and another 12 were injured. Two hours later the riot was calmed. Over the next eight months, those accused of participating in the violence were divided into three courts martial and tried at Fort Sam Houston in San Antonio. The first of these courts resulted in sentences of execution and the hanging of 13 soldiers. On 10 December, the condemned were transferred to barracks at Camp Travis. New lumber procured for a bath house for the trainees was temporarily requisitioned and used to construct a gallows overnight. 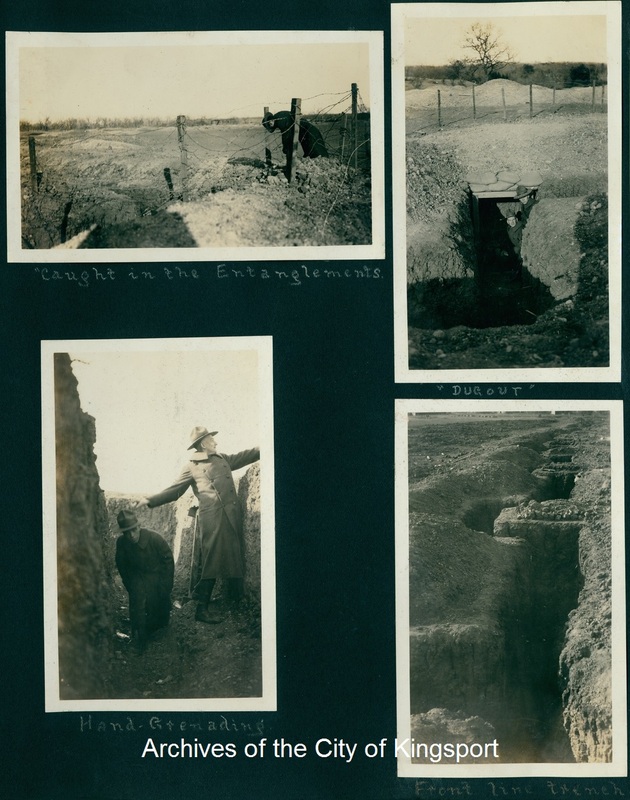 The 13 members of the 24th Infantry were hung at 7:00 am the next morning. The gallows were immediately disassembled, the soldiers were buried, and the materials were returned. Before shipping out, either Rev. John Clifford, or his son Howard, photographed the graves. How incredible that graves which were soon to be camouflaged and hidden from public scrutiny were captured on film by two family members, preserving for future generations history in pictures of the devastating results of racial prejudice and indifferent leadership. 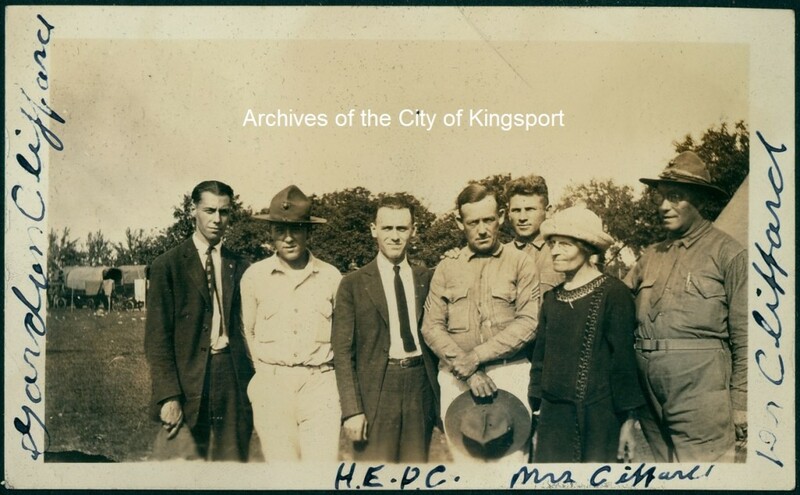 Doc Clifford recovered from his war injuries in Arizona, then came to Kingsport via New York. In addition to his duties with the YMCA and First Baptist Church, he went on to serve as chaplain for the Kingsport Police and Mason-Dixon Lines trucking company. 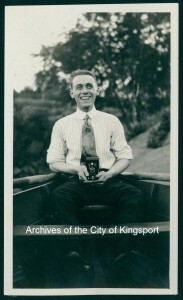 Howard E. P. Clifford was vital to the development of downtown Kingsport, not only in his professional life, but through the many committees and boards he served on, which included Kingsport Cemetery Corporation, Kingsport Garden Housing Corp., the Housing Authority, Municipal Bldg Corp., Cherokee Investment Co., and Watauga Realty Corp., among others. Mildred and Howard Clifford, undated. 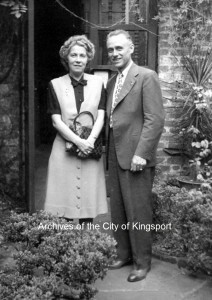 Gordon Clifford has descendants, but Howard and Mildred could not have children, so all of the Kingsport Cliffords are gone, now. When I look at their pictures and think of all the things that they did, it inspires me to love my family a little more and to try a little harder to leave my own mark in this world. 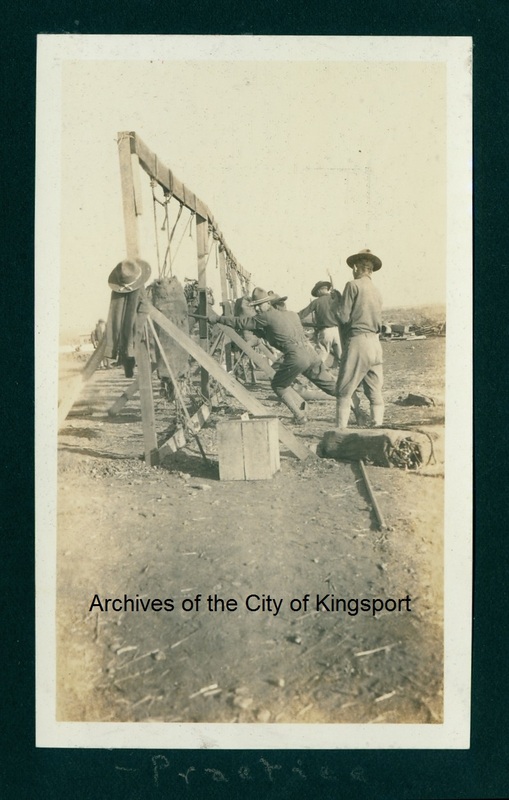 This entry was posted in Kingsport and tagged 1917 Houston riot, photograph, scrapbooks, World War I. Bookmark the permalink. Thanks, Helen. I miss you at the library! Can’t thank you enough for putting some of our history together. 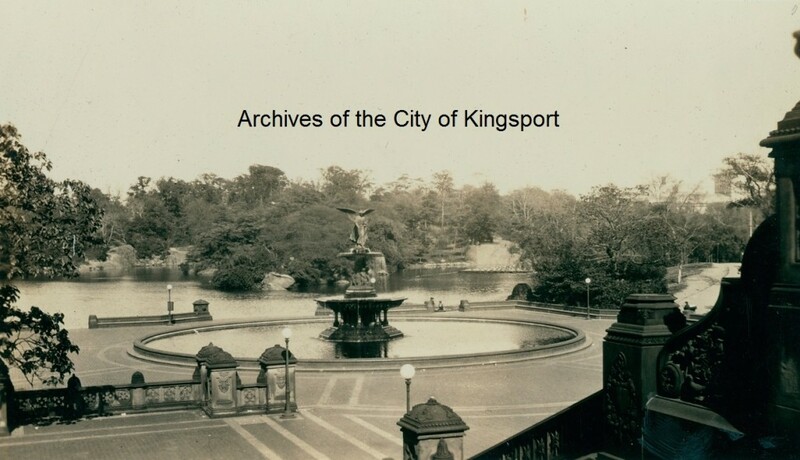 I still visit Kingsport a fair amount, after I moved to South Carolina, near Clemson , in 1999. My Mom is still doing well at 90 and younger at heart than I am. “You can only improve yourself in two ways; one, by the books you read, and two, by the people you associate with.” Roger’s quote still rings true and goes both ways. It covers the faithful people of prayer and the likes of an Howard .E.P. Clifford, who contributed so much to others in our town. I like Will Roger’s a lot these days. Very interesting, Kari. You did an outstanding job. I need to get the Cannoy and Slaughter information, that I have, down to you. The archives is always grateful for donations of materials on Kingsport families! What a great post Kari. It makes me wonder if these Cliffords are somehow related to my Clifford line. We definitely have the love of photography in common! I will have to talk about that a bit more with you about the genealogy. Kathleen, John H. Clifford was born in Oxford, England and attended Oxford College. Son of a Methodist minister and nephew of 5 more, he followed in their footsteps. He met his wife, Marian Janette Steele, while on a speaking engagement in Scotland. A registered nurse, she was born in Perth Scotland. Son Howard was born in Belfast, Ireland. Hope that helps! This in depth research and review of the Clifford family records is so interesting. 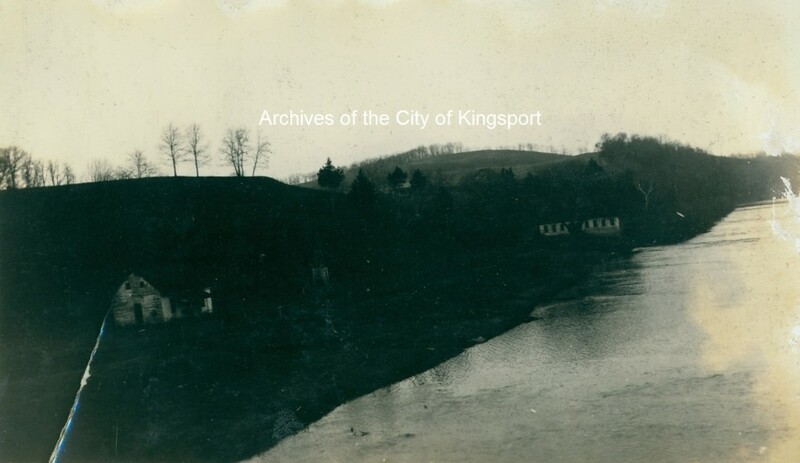 The documents and pictures tell the story of not only the family’s life, but how the Cliffords were involved in the development of Kingsport. Thank you for compiling this post for your e-friends. This is so interesting. It makes me want to document my own family more and to go back and look at my grandparents albums.